A professional translation agency providing certified legal translation to the world's biggest law firms. With a team of expert legal translators with experience in the field of law, we guarantee perfectly accurate legal translation services in over 150 languages to legal firms. Our team of professional legal translators offer a combination of professionalism, efficiency, and industry-specific knowledge to ensure that you are in the strongest possible position with regards to complex international legal matters. Our professional linguists only ever translate into their mother tongue, ensuring fluent, natural-sounding texts. As an ISO certified company, you can rest assured our language translations are of the highest quality. With our express solutions, we can have your accurately-completed translations back to you within a matter of hours. Protecting your intellectual property on the international stage has never been more important, and our patent translation services will help you to guarantee the uniqueness of your idea in terms that translate across the globe. With the ease of international communication that the internet provides, international transactions of goods and services are increasingly becoming the norm, and our contract translation services can help you expand into new markets. Our legal document translators handle your confidential legal documentation with the utmost trustworthiness and efficiency so that, whatever your needs, you can rely on us for high-quality translations. We offer certified legal translations for those who require an attestation that the translation has been completed by a professional. This may be for official documents such as those requested by government bodies or for court. As a forward-looking legal translation agency that works with experienced native-speaking linguists who are also knowledgeable legal specialists, we guarantee high-quality professional legal translations that you can trust. As our legal experts have at least 5 years’ experience in the field, you can be sure that whatever the specific field of your project, our experts will understand the intricacies of your legal translation. 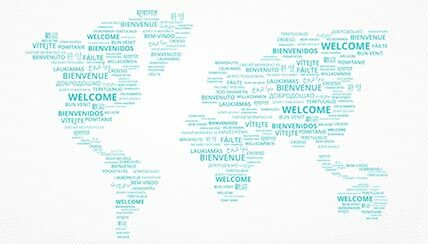 Whether it be a merger and acquisition translation that you need returning quickly or a trademark translation to protect your brand, we will take care of ensuring every detail is translated accurately. Your law translator will also take care of proofreading the translation in full before they submit, ensuring all legal terminology is correctly translated, while for an extra degree of assurance we include a second proofread by another translator at no extra cost. DO YOU RETAIN THE FORMATTING WHEN TRANSLATING LEGAL FILES? Our experience tells us that while the key is in the detail in the legal industry, presentation means a huge amount too. For this reason, our technology experts can format your finished legal translations exactly as required, across many desktop publishing programs, so you don’t need to worry about the layout of legal documents or contracts making up the body of your case. Whether it’s commercial litigation, a trademark translation or a sensitive anti-trust translation, we can make sure the original layout, no matter how long the legal document, is preserved. This ensures that the format, as well as the content, of any project we carry out remains polished and professional for all of our clients; all you need to do is let us know your requirements for your legal translations. LEGAL TRANSLATORS: HOW DO YOU GUARANTEE QUALITY? We understand just how important and fast-moving law firms are, and so we make sure our legal translation services are carried out with efficiency while guaranteeing the highest possible quality. We put each of our linguists through a rigorous selection process and we only work with translators who have at least 5 years’ experience in legal translation. As an ISO-certified multilingual translation company, each translation is proofread by a second native translator with experience in the field at no extra cost. Whether it’s a question of corporate litigation translations or international agreements, you will be guaranteed accuracy, efficiency, and confidentiality, with translators agreeing to confidentiality terms so that you can rest assured that the information contained within your legal translations is kept safe. HOW MUCH CAN I EXPECT TO PAY FOR LEGAL TRANSLATION COMPANY IN LONDON? We know that individuals and companies seek translation services for a variety of different reasons and that the jobs you need doing vary significantly in size and scale, so your dedicated Project Manager will make sure you are always kept in the loop at every stage of the project. We understand that processes in the legal sector can be lengthy and expensive, and for that reason, we make it a priority that the high-quality legal language services we offer are at reasonable prices that represent great value for money. Certified by the translation agency if required: generally for legally binding documents. Send us an outline of your translation service requirements, and we can have a quote to you within the hour so you can budget for legal translation services from the get-go.